Item # 139264 Stash Points: 1,497 (?) This is the number of points you get in The Zumiez Stash for purchasing this item. Stash points are redeemable for exclusive rewards only available to Zumiez Stash members. To redeem your points check out the rewards catalog on thestash.zumiez.com. 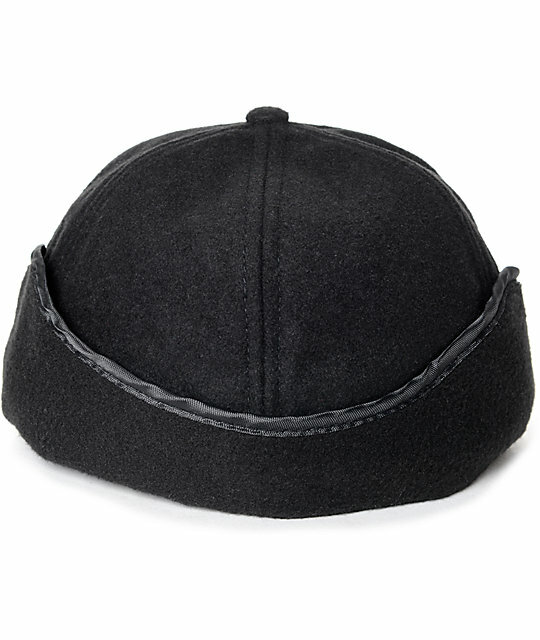 The Ear Flap Cap in black from Stussy will make the perfect addition to any cold weather collection. 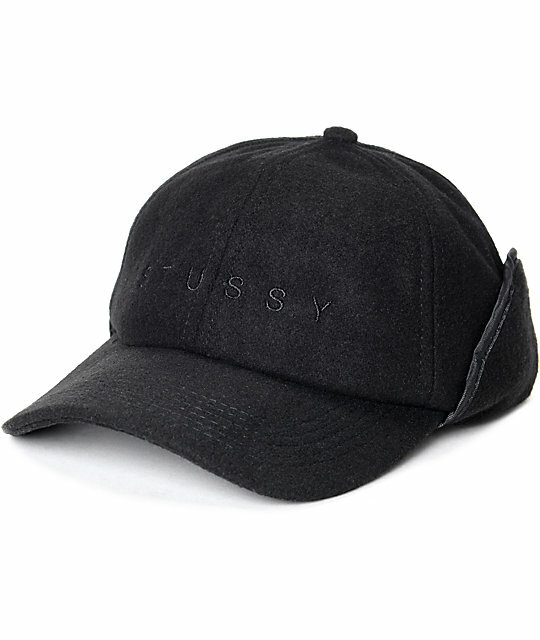 Coming in a solid black colorway, this hat is made with an unstructured 6-panel design with fold-up ear flaps and a curved bill, finished with Stussy logo embroideries in black at the front and left ear. Ear Flap Cap by Stussy. 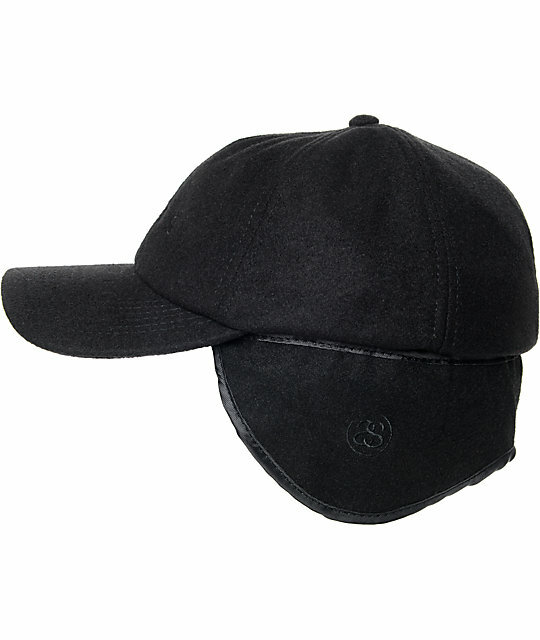 Unstructured 6-panel design with ear flaps. Logo embroidery at the front and right ear flap. Earl flaps can fold up.